JERUSALEM (AP) — Jerusalem’s outgoing mayor is calling on the international community to consider his proposal to end the local operations of the U.N. agency for Palestinian refugees, saying there is “no such thing” as a refugee in the city. In an interview, Nir Barkat, who is leaving office after elections later this month, said on Sunday that he was inspired to make his proposal after the United States cut off $300 million in funding to the agency last month. Barkat’s proposal marks the latest assault by Israel and the U.S. against the United Nations Relief and Works Agency. U.S. budget cuts have sent the agency into a financial crisis and drawn Palestinian accusations that Israel and the U.S. are trying to erase the refugee issue from the international agenda. Barkat accused UNRWA schools of using textbooks that promote anti-Israel incitement, and said Israel can provide much better education and health care services to Palestinians who rely on the agency. The U.S. funding cuts will only widen those gaps, he said. Barkat’s plan faces significant obstacles. For starters, he does not appear to have the legal authority to shut down an international agency that was created by the U.N. General Assembly decades ago and continues to have wide international backing. He said the Israeli government is studying the proposal. In addition, taking on the responsibility of providing services to Jerusalem’s more than 12,000 Palestinians who rely on UNRWA will be an additional burden for the cash-strapped municipality. The city’s roughly 340,000 Palestinians live overwhelmingly in impoverished neighborhoods of east Jerusalem that already suffer from poor services, overcrowded schools and inadequate infrastructure. The Shuafat refugee camp, where most of the city’s refugees live, lies on the outskirts of the city behind Israel’s West Bank separation barrier. He said that during his term he has made great strides toward improving education and other services in Palestinian areas. He said the UNRWA crisis is another “opportunity” to serve Palestinians. UNRWA already has expressed concerns about Barkat’s proposal. It said the agency operates under an international mandate and formal agreement with Israel and remains “determined” to continue carrying out its services. UNRWA was founded following the war surrounding Israel’s independence to assist some 700,000 Palestinians who fled or were forced from their homes in the fighting. Today, it serves more than 5 million Palestinians across the Middle East. It accuses the agency of perpetuating the conflict by helping promote what it considers an unrealistic Palestinian demand that refugees have the “right of return” to long-lost homes in what is now Israel. Prime Minister Benjamin Netanyahu has said UNRWA should be abolished. Netanyahu’s office declined to comment on the Barkat proposal. The Palestinians cut off ties with the U.S. after President Donald Trump recognized contested Jerusalem as Israel’s capital. They accuse him of undercutting their internationally backed claim to east Jerusalem, captured by Israel in 1967, as their capital. Now, they see Israel and the U.S. conspiring to remove the refugee issue from the agenda as well ahead of an expected U.S. peace proposal. For Barkat, the proposal caps a decade-long tenure in which the city made significant strides economically and culturally but saw only modest progress for the Palestinian population. 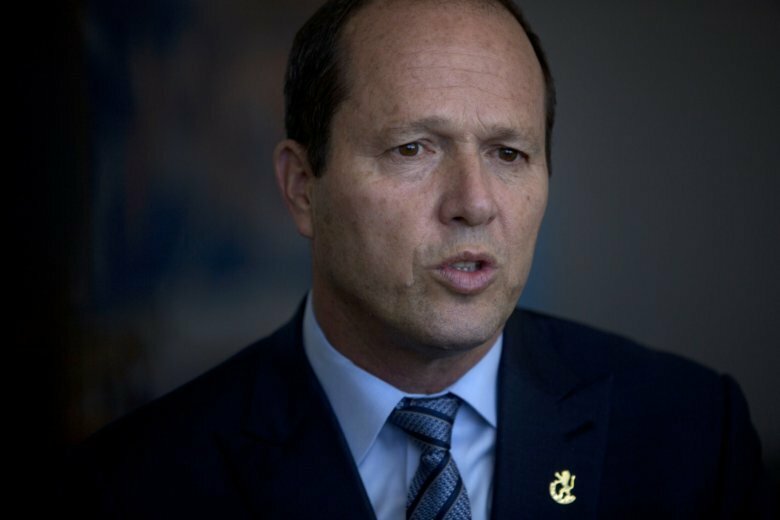 Barkat, who plans on seeking national office as part of Netanyahu’s Likud Party, said he expects the various candidates vying to succeed him to support the plan.